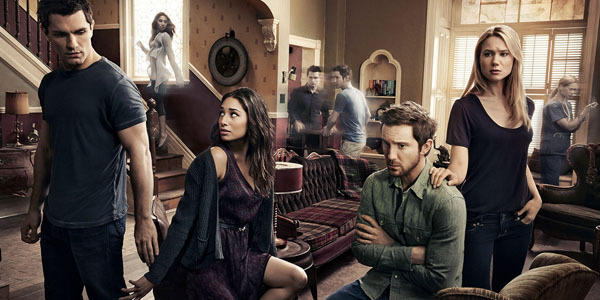 We have sad news for fans of the American version of Being Human. 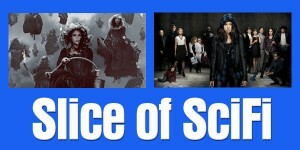 The SyFy Channel has announced that once this fourth season of the series is completed that will be the end of the show, it has not been renewed for a fifth. Good news is there will be an adequate ending of sorts. There are only six episodes left and they will be used to being closure to each of the main characters in the ensemble cast. Josh (Sam Huntington), Sally (Kristen Hager), Aiden (Sam Witwer) and Nora (Meaghan Rath) are reported to be getting a proper send-off over the final six weeks of the program. The finale will air on SyFy Monday, April 7, 2014. 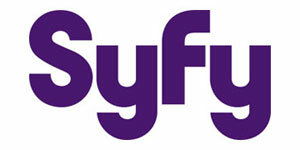 The network is mum as to why this decision was made since the ratings have been favorable for the entire run of the series and they have yet to announce what SyFy has in store as a replacement. Another highly successful series on the network, Warehouse 13 which returns on April 14, 2014 will also be cut from the lineup after five seasons once its episodes end this summer. Watch this clip of each of the principles saying goodbye and thanking their fans for their faithfulness to the show. Being Human and Warehouse 13 were the only SyFy shows I still watched, so I guess I will be done with them after the summer. I gave helix a try but that is simply unwatchable drek. I don’t understand why sci-fi in cancelling the show. especially when it had great ratings. I could not wait until Mondays to watch the show. I even made my dinner early so I wouldn’t miss the show. It is the same with sons of anarchy. I really don’t watch much television, but when It came to watching these programs, I couldn’t wait!! So sad to see these programs leave. wishing the cast of these shows lots of luck and good fortune. Isn’t there another new show, Bitten, based on Kelley Armstrong’s “Women of the Otherworld” series? I should find out how that one’s doing… it’s another Canadian pickup like Lost Girl and Continuum. Wish we could get Space Channel down this way. I’ve not been watching Bitten so I can’t say if it’s good or bad, but over at Tuning Into SciFi TV, they’ve all but given up on it. Not a good sign. Wow, and they have a higher tolerance for shows in the “but it’s getting better” category than I do. If that crew has given up already, that really isn’t a good sign at all. I’ve watched the first 3 episodes of Bitten. It’s ok, but nothing special. And with so much at least decent genre television on, I probably won’t bother with it further. 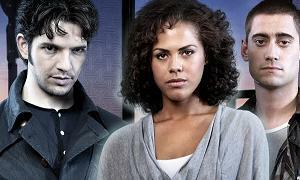 However, if your looking for something worthwhile on Syfy, Continuum will be back soon, and I really enjoy that show. And I’ll probably at least start season 2 of Defiance. ahhh so they wanted to go out on a high note and actually wrap the story…will miss the show but I can respect that…been a lot of shows that go on for far too long.